International Catholic weekly is the second oldest surviving journal in the UK after The Spectator. A specially commissioned motet by Catholic composer Roxanna Panufnik was premiered at a Mass in Westminster Cathedral, London on Saturday celebrating the 175th anniversary of the Catholic weekly, The Tablet. The Motet, ‘The Tablet of Your Heart’, is based on Proverbs 7. The Mass also incorporated a motet by the late Welsh composer William Matthias that was commissioned for The Tablet’s 150th anniversary. 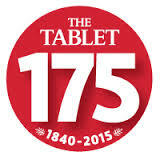 This morning the BBC Radio 4 Sunday programme features a special report on The Tablet’s 175th anniversary including an interview with the editor Catherine Pepinster. First published in 1840, The Tablet was founded by Frederick Lucas, a Quaker convert to Catholicism. It is the second oldest surviving weekly journal in the UK, after The Spectator. It is celebrating its 175 years of uninterrupted publication with a programme of lectures, concerts, liturgies and debates to reflect nearly two-centuries of cutting edge coverage, and some of these events will take place in Ireland. The Westminster Mass was concelebrated by the Bishop of Brentwood, Alan Williams, his predecessor Bishop Emeritus Thomas McMahon and Crispian Hollis, Bishop Emeritus of Portsmouth as well as 30 priests. The Archbishop of Cardiff, George Stack, gave the homily. Hundreds of Tablet readers joined leading Catholics including Baroness Shirley Williams, Baroness Patricia Scotland and Lord Camoys, Chairman of the Tablet Trust, for the Mass in Westminster Cathedral. In his homily, Archbishop Stack praised The Tablet for its “critical loyalty” to the Catholic Church. He read out an early complaint about the journal from the architect Augustus Welby Pugin, who wrote that The Tablet represented only “modern liberalism”. Pugin “wasn’t the only who found it difficult to understand the concept of critical loyalty,” Stack said. The Archbishop said labels such as conservative and liberal “cannot plumb the depths of our attempts to explore the meaning of things and their purpose”. Referring to Gaudium et Spes, the Second Vatican Council document on the relationship between the Church and the World, he said The Tablet helped readers to make sense of their faith in the context of current affairs. “In reporting the implications of international conflicts, in analysing the persecution and suffering of the innocent, in supporting the healing hands of those who commit their lives to justice in the cause of peace, The Tablet continues to analyse and explain the language of the Cross in the conflicts of our broken world,” he said. 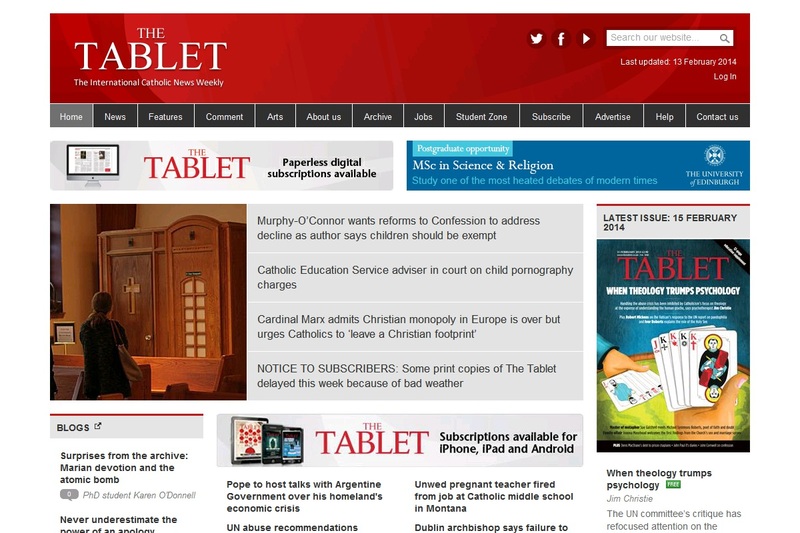 The Tablet is today read across the globe and reports on events of Catholic and wider significance in the UK, Ireland and further afield. 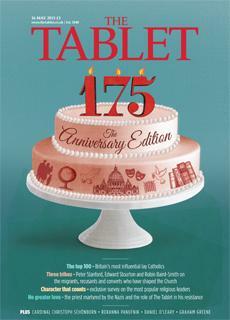 Since its establishment, contributors to The Tablet have included intellectuals, thinkers and writers, including Evelyn Waugh and Graham Greene, as well as Popes Benedict XVI and Paul VI. In recent years its pages have included contributions from figures such as former Prime Ministers Tony Blair and Gordon Brown, the journalist John Cornwell and concert pianist Stephen Hough. “Only a few publications in Britain have lasted as long as 175 years. That a Catholic publication should have done so, given the tempestuous history of Roman Catholicism in this country, is testimony not only to The Tablet’s journalism but to the capacity for a minority group to thrive in Britain,” Tablet editor, Catherine Pepinster, said. The Thanksgiving Mass in Westminster Cathedral is to be followed by a Thanksgiving Mass at 11am in St Mary’s Pro Cathedral Dublin on 7 June, which will be celebrated by Archbishop Diarmuid Martin. Tablet readers and supporters in Ireland are invited to attend. The Tablet Literary Festival – ‘The Catholic Imagination in Literature’ – will take place over 19-20 June at the Library in Birmingham. Speakers will include acclaimed novelists, historians and literary figures, David Lodge, Antonia Fraser, Andrew O’Hagan as well as Roy Foster, Maureen Freely, and David Almond. “From Mary Magdalene to women bishops”: a Catholic/Anglican Seminar sponsored jointly by The Tablet and The Church Times. Professor Janet Martin Soskice, Professor Eamon Duffy and Lord (Rowan) Williams in conversation, followed by Q&A session. A drinks reception will precede the event. “The Book and the Believer: Are Catholics, Jews and Muslims still outsiders in British society?”: an interfaith seminar sponsored by The Tablet in partnership with the LSE, Pears Foundation and the Woolf Institute, Cambridge, moderated by Professor Conor Gearty (LSE). A drinks reception will follow the event. Piano recital by Stephen Hough, to include the premiere of the specially commissioned “Sonata III (Trinitas)” written by Mr Hough for the occasion. “The Spirit of Catholic Renewal: Signs, Sources and Calling”: a 3-day/2-night theological conference sponsored by The Tablet in partnership with Durham University’s Centre for Catholic Studies. An invitation to submit papers will be issued in advance.